Although the exact numbers are disputed, the Office of Technology Assessment today estimates about 6,000 deaths annually due to workplace injuries and about 100,000 deaths due to occupational illness. This book is vital for all physicians, industrial hygienists, safety professionals, nurses, lawyers, government policy makers, and others who are continually working to reduce these figures. It points the way to better methods of detection and control.innovative diagnostic techniques.improved epidemiological methodology.and a full understanding of government, labor and management's responsibilities to the health of their workers. About the Author Jacqueline Karnell Corn is Associate Professor, The Johns Hopkins University School of Hygiene and Public Health, Baltimore, Maryland, and a leading researcher in industrial and environmental health and safety history. In addition to authoring Environment and Health in Nineteenth Century America: Two Case Studies and Protecting People at Work: ACGIH 1938-1988. she has also edited Industrial Hygiene--The Future and Training and Education in Occupational Hygiene: An International Perspective Dr. Corn received her Masters degree from Radcliffe College and her Doctor of Arts in History from Carnegie-Mellon University. 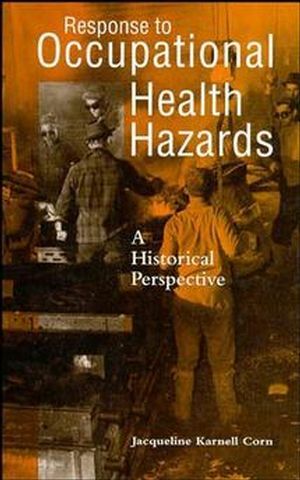 Historical Perspective on Government Responsibility for Occupational Health. Risk Assessment and Federal Policy, 1970-1990.